North Korea held a national meeting last week to mark the seventh anniversary of leader Kim Jong-un taking the post of supreme commander of the country's armed forces, the state-run media reported Sunday. The meeting was held Saturday in Pyongyang, attended by high-ranking officials of the ruling Worker's Party of Korea (WPK) and the Korean People's Army (KPA) along with many others, including soldiers, students and workers, according to the Korean Central News Agency. Sunday marks the seventh anniversary of Kim being designated as the country's top military commander following the death of his father Kim Jong-il in late 2011. 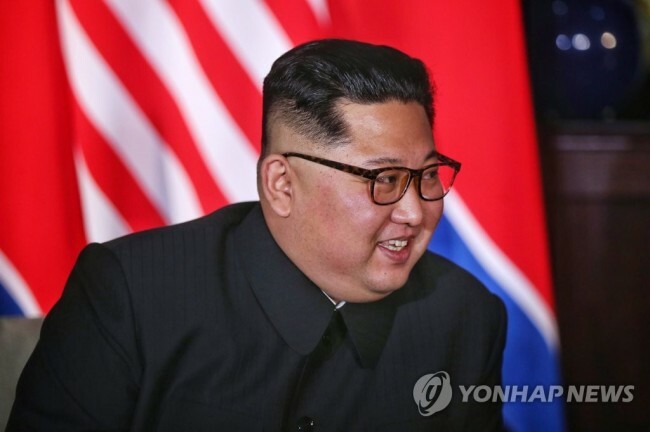 "It is a great revolutionary event to be specially recorded in the history of building the Juche-based army and the history of the country to hold Kim Jong-un, a peerlessly great man, at the helm of the revolutionary forces," Army Gen. Kim Su-gil was quoted as saying during the meeting. Juche means self-reliance. Kim, an alternate member of the Political Bureau of the Central Committee of the WPK, added that the leader has contributed to "the development of the KPA into revolutionary armed forces" and a "decisive turn in the building of the Juche-based army." "The KPA, the revolutionary armed forces of the WPK, will as ever serve as strong muscle for creditably safeguarding the security of the socialist country and comfort of the people and preserving peace in the Korean peninsula and the rest of the world," he noted. He called for more efforts to build a socialist power, achieve the victory of national reunification and accomplish the revolutionary cause of Juche under the guidance of the supreme commander's leadership. The anniversary comes as North Korea has been pushing to improve inter-Korean relations since early this year after Kim Jong-un declared the completion of the country's nuclear armament.